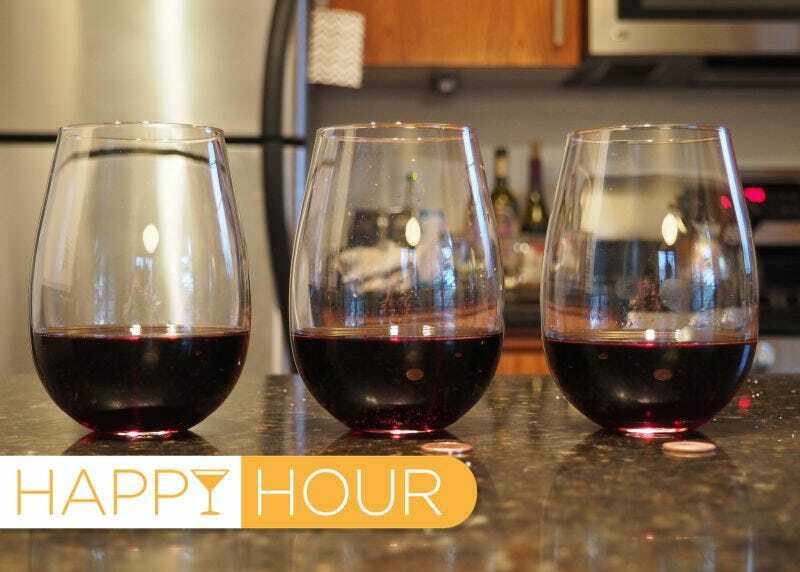 Hey, did you know that you can revive a spoiled wine by just dropping a penny into your glass? Well, at least according to the internet. The truth, though, is much more complicated. The “penny trick” has been around for quite some time—so long that it actually predates the penny. Before the penny, it was the “silver spoon trick,” which worked largely in the same way: You have a glass of slightly off-wine that has set out for perhaps a little too long. Instead of throwing it out though, you pour it into a glass. You get a penny, clean it, throw it into the glass, swirl, and presto! Suddenly your wine tastes like wine again. The trick has been kicking around for a long time, but in recent days it’s been everywhere thanks to a new video from the American Chemical Society talking the trick up. There’s only one problem: It doesn’t really work that well. To be fair, the trick is, indeed, sometimes effective—and the video pegs neatly the reason why it works when it does work. When it manages to work, it’s because the copper of the penny reacts with the thiols that are giving your wine an unpleasantly rubbery/eggy note, and forms copper sulfide crystals. Those crystals are odorless, giving you something much more palatable than you started out with. The other thing the ACS’s video is right on the nose about? An important preparation step that a lot of people miss in this trick: For the love of God, people, clean your pennies first. Look at the date on your penny. That’s how long different people have been putting their hands all over it—and I guarantee you, not all of them were washed. Seriously, wash your penny first. This sounds almost too good to be true: You can turn back the clock of your wine with something incredibly cheap that you already have on hand. But does it work? Not for me. I had a long-forgotten bottle of pinot noir in the back of my fridge which seemed like a good fit for another round of testing. I let it warm to room temperature and poured out three glasses of wine: One control, one with a 2010 penny, and one with a 1972 penny (which are all pictured above). All of them remained equally terrible. So why didn’t the trick work for me, or for a lot of people who try it? Because there are a lot of ways for wine to spoil. One way, certainly, is for it to be full of unpleasant-tasting thiols. If that is your wine’s problem, then copper may revive it. But, if you’ve got disulfides causing the problem, then all you’ve got is some still-spoiled wine with a coin in it. You could attempt to diagnose which particular compound is causing your wine trouble before breaking out the coin jar, but as wine-writer Jamie Goode notes, there are over 100 different volatile sulfur compounds that could be causing your wine to smell off. He has a chart that may help you to guess roughly which compound you’re dealing with (thiols are more likely to be rubbery, while disulfides may be more cabbagey). Parsing out exactly which one, though, is going to be pretty difficult to do just by your nose for most of us—more likely you’ll need a chemistry test, which leaves this “one easy trick” suddenly looking pretty complicated. The other issue that the latest version of the trick misses is whether a penny would still a usable tool for this at all. Why? Because the penny is no longer what it once was. Before 1982, most pennies were 95% copper, today, they’re plated in copper but 97.5% zinc. Some people say only the pre-1982 versions will work, while others insist that the copper-plated versions of today will do the job just as nicely. In my experience, both were just as ineffective. This is an occasionally cool, but frankly not that useful trick. It will work from time-to-time, but your wine-saving efforts would be better directed towards not letting your wine spoil in the first place, by either storing it better or, even better, splitting it with a friend and just finishing the bottle in the first place. This article originally appeared on Gizmodo on December 10, 2015, it has been updated to run again on January 29, 2016.